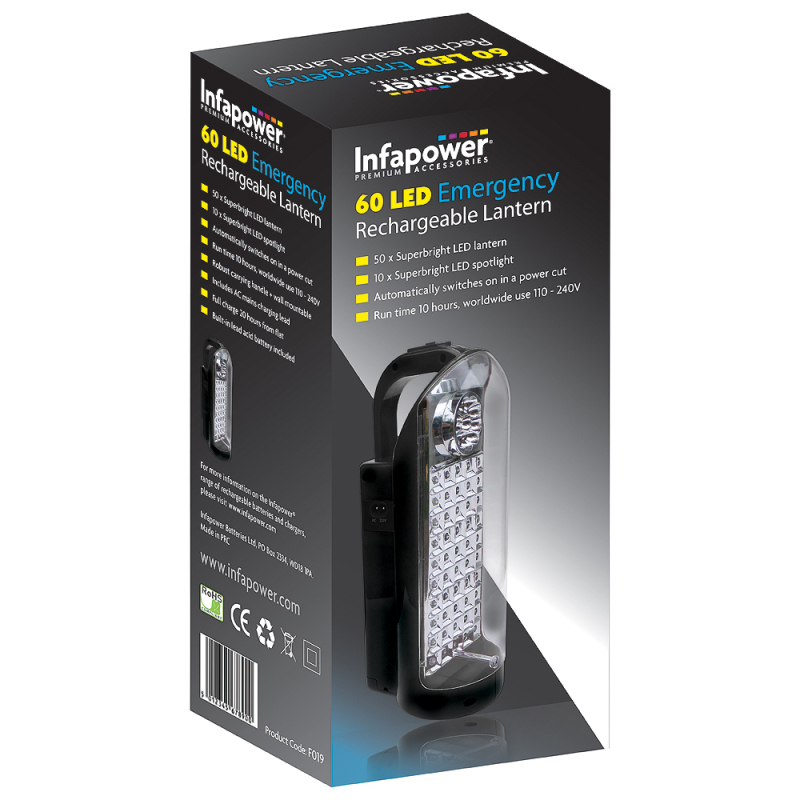 Infapower's 60 LED rechargeable lantern offers great value for money. It includes 50 super bright LEDs for area lighting and 10 super bright LEDs for spotlight directional use. Totalling 60 LEDs. Ideal for emergency use, it automatically switches on in a power cut. It has a robust carrying handle and can also be wall mounted. It includes AC mains charging lead. It has a built-in sealed lead acid battery and can be used worldwide 110-240v. 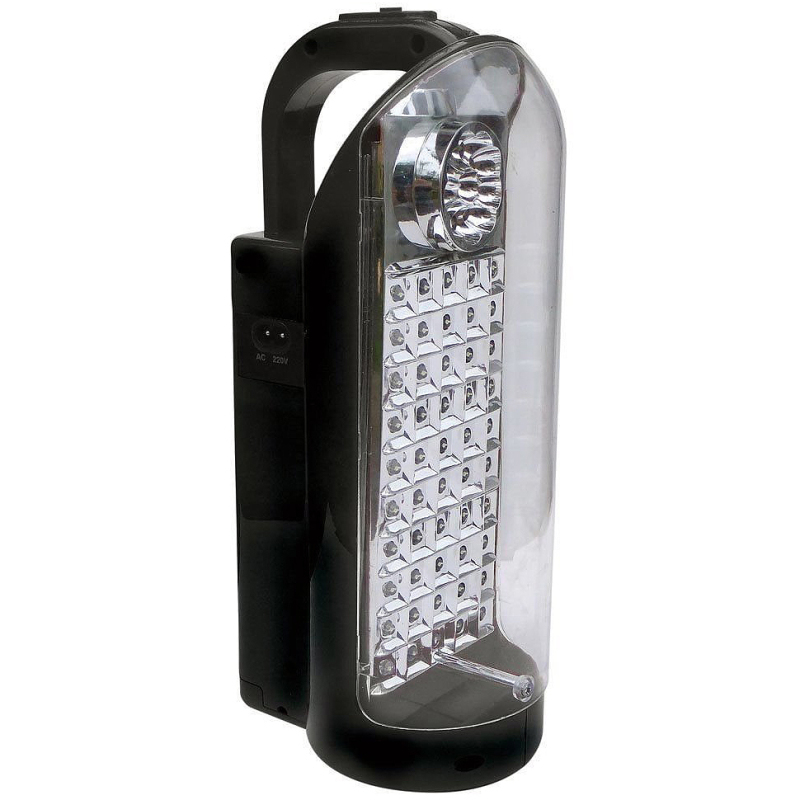 Ideal for home; car; outdoor leisure and emergency use. Buy with Confidence from a Infapower Authorised Dealer and All Purchases come with a VAT Receipt.